River Lynher. | Launceston Then! 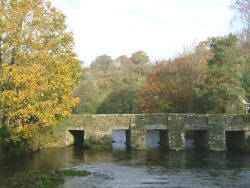 It is in the Altarnun parish that the River Lynher (Linar) is born, just off what is now the A30, at Trewint Marsh. It soons builds up a head of steam as it collects the water shed by the moorland that rises from its Western flanks. It is joined by Withey Brook which rises high on Eastmoor by Trewortha Marshes, and under the shadow of Hawks Tor. 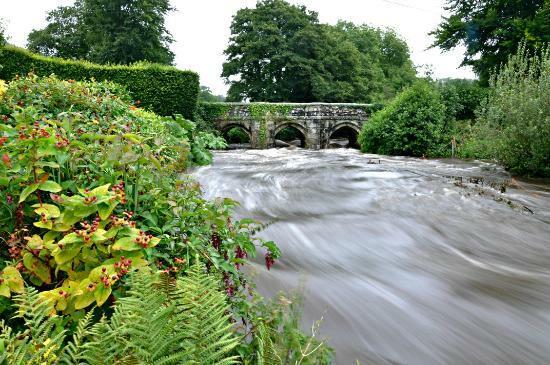 It is possible that the river takes its name from Lyn-hir meaning Long Lake, from Withey Brook. There is a legend that indicates that there was once a lake on Trewortha Marshes, but in a search for gold it was un-dyked at the Eastern end. Now this is open to conjecture, but we do know that it was called Linar in a Charter of King Canute, in 1018, and again a Charter of 1170 gives it as Lynher. 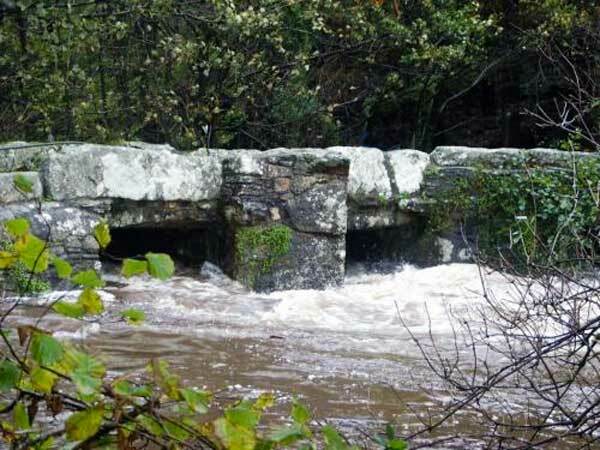 From the moors the infant river encounters the woodlands of Trebartha where there is a small bridge. The Lynher soon develops its size with thanks to the moorland that it now skirts below. The first structure and hamlet that it reaches is Berrio (Berriow) Bridge (below). This bridge is first mentioned in 1584 by Norden and is built of granite in large blocks with three little arches. The piers are as thick as the arches are wide and a date stone marked 1640 gives reference to some repairs. Another date of 1890 refers to the widening of the bridge on the upper side. The original width was only 8½ feet. From here the river flows to Rilla Mill. It is near hear, at Rillaton, that the first capital of the Hundred of East was settled and derives its name from being a Court (Les) near the Ford (Red), hence Redles-ton (Rillaton). 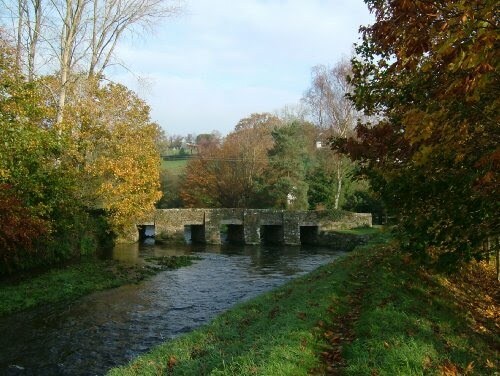 A very ancient road led from Launceston by Trecarrel Bridge to Rillaton and so to Caradon. From here the river then flows out of the Launceston area continuing its 21 mile journey through East Cornwall towards the Tamar Estuary at the Hamoaze. Along the way it picks up its main tributaries of Marke Valley Stream, Darley Ford Stream, Kelly Brook and the River Tiddy.